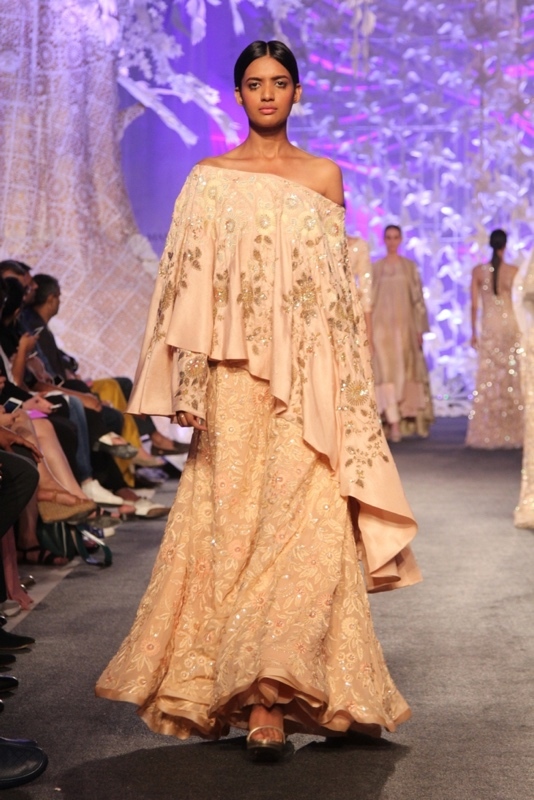 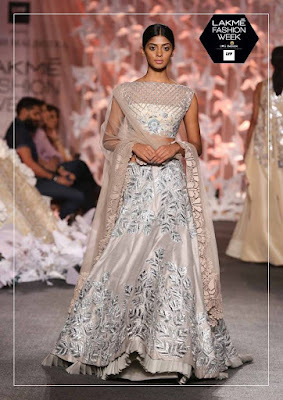 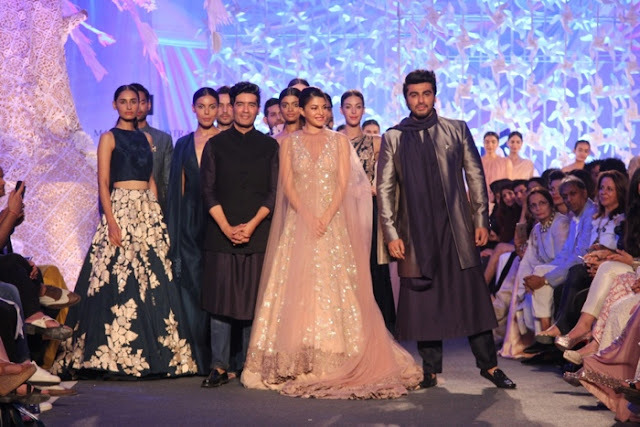 The Summer/ Resort edition of Lakme Fashion week is on and Manish Malhotra opened the show with his collection titled Elements at Mehboob studios. The collection Elements is inspired but four elements of nature i.e Fire, water, earth and air. 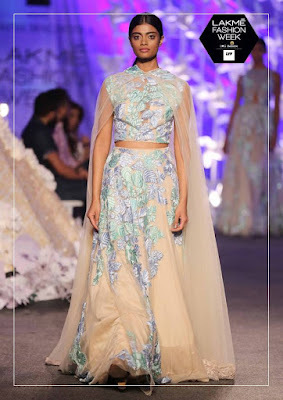 The colours were kept soft and breezy for the modern summer bride ranging from powder blues, pastel pink, mint blues and light tangerine . 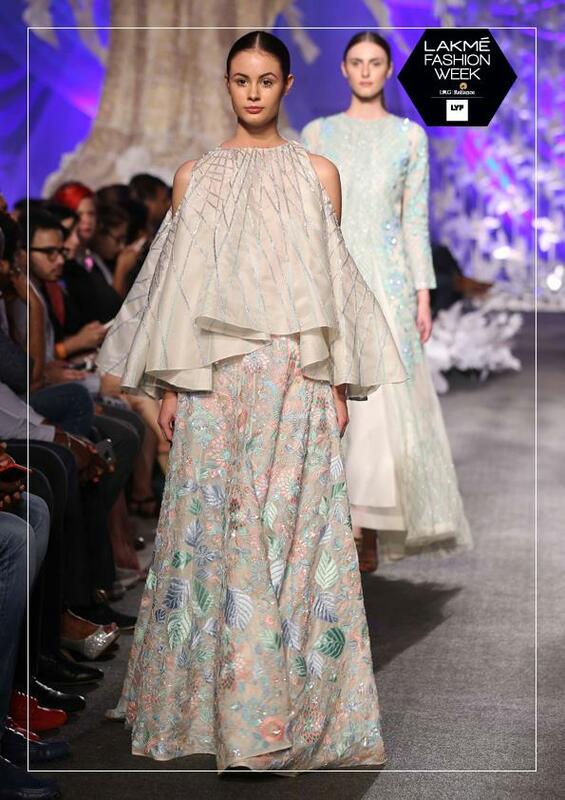 There was a lot of organza, crepe , floral motifs and the cuts had a very western influence in it. 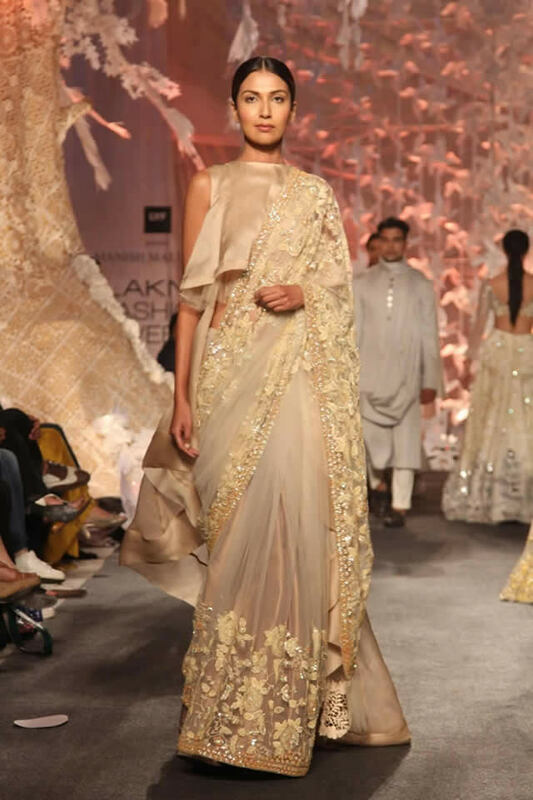 Sheer capes ar a hot trend in ethnic wear and this trend is not going anywhere soon proves manish Malhotra by giving us a lot of cape ensembles in addition to some fun silhouettes like the layered breezy pants, off shoulder blouses and jumpsuits, cape trails and jacketed sarees. 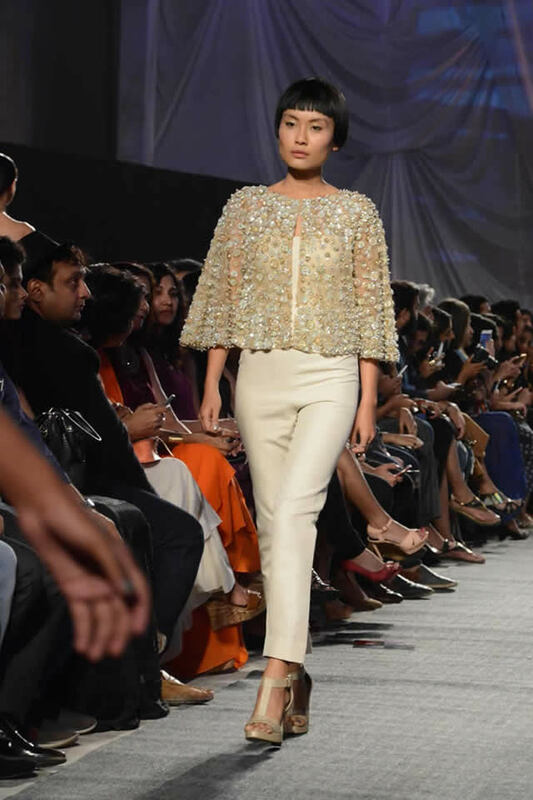 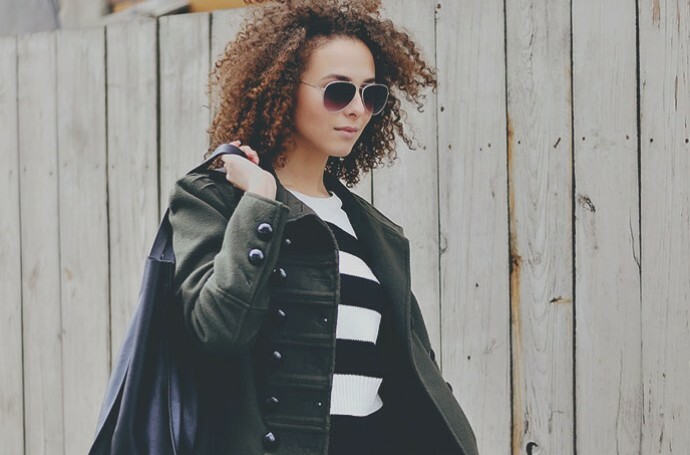 I love Asymmetrical cuts and this collection had them in plenty meaning i cant have enough of the majority of 70 outfits sowcased. The summer bride will love this for sure, this collection is actually tailor made for sangeets with all its layers and cuts. Jacqueline Fernandez and Arjun Kapoor closed the show as show stoppers. 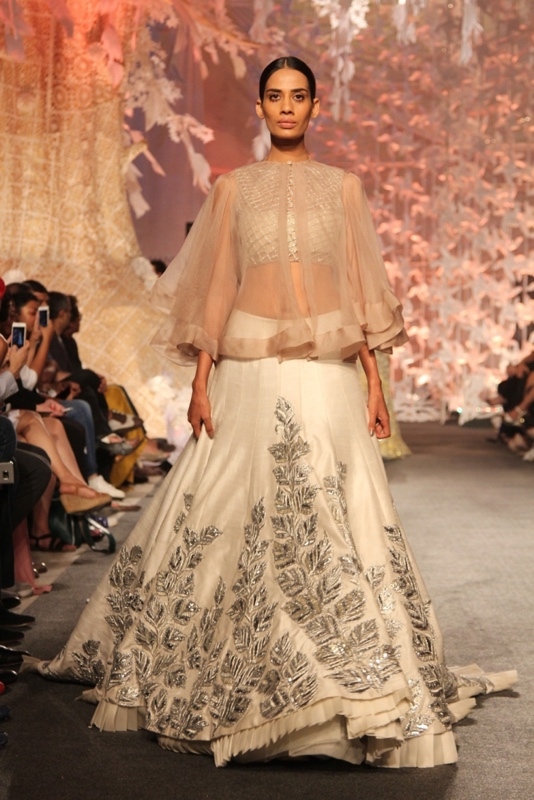 Special love for the outfit Jaqueline fernandez wore, dreamy, romantic and oh-so-fun. 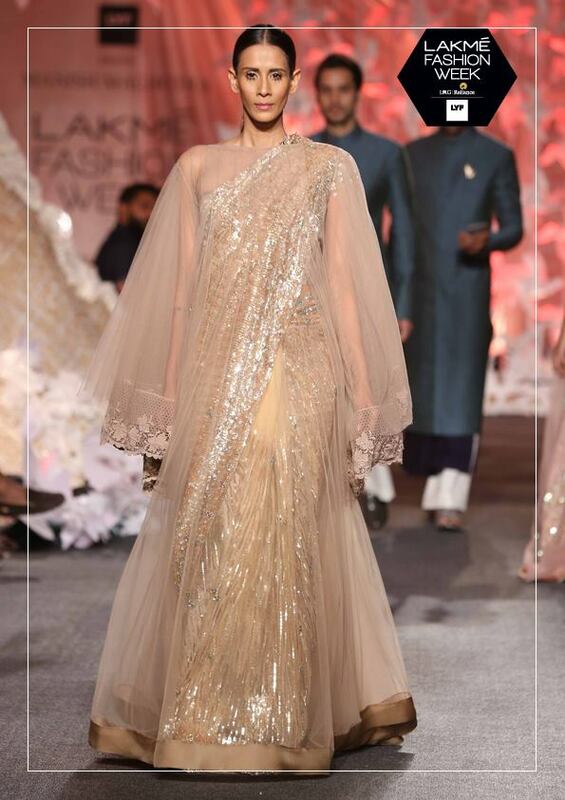 Love the floor length sheer cape on the lehenga, would love to wear something like this, it will be perfect for a bride who wants to look traditional with a contemporary twist.